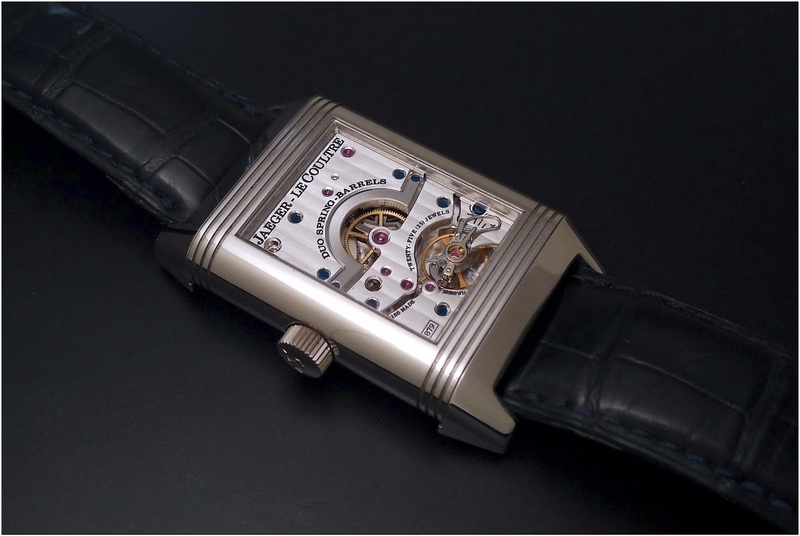 Jaeger Lecoultre Reverso Septantième 11th Anniversary. 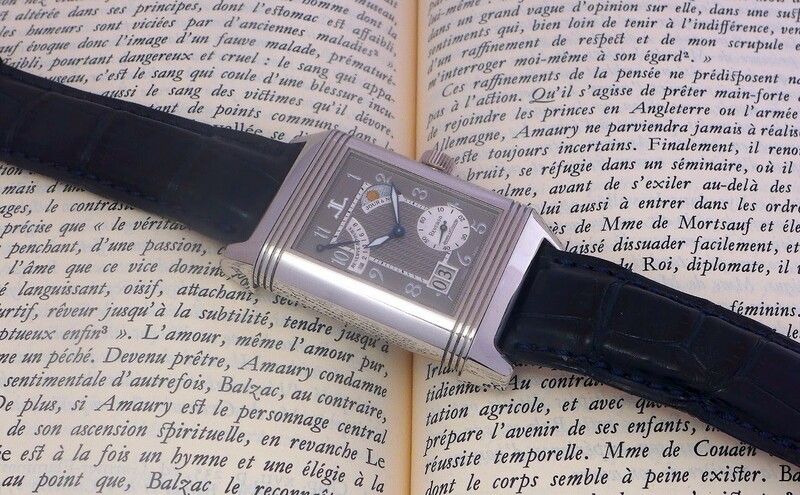 Most probably one of my 5 favorite Reverso is this Septantième, along with the Reverso Tribute Duo from 2016, the Reverso Red from 2011, the Reverso Platinum Nr 2 and the Reverso Tourbillon Skeleton in platinum. First Grande Date ( ever? ) 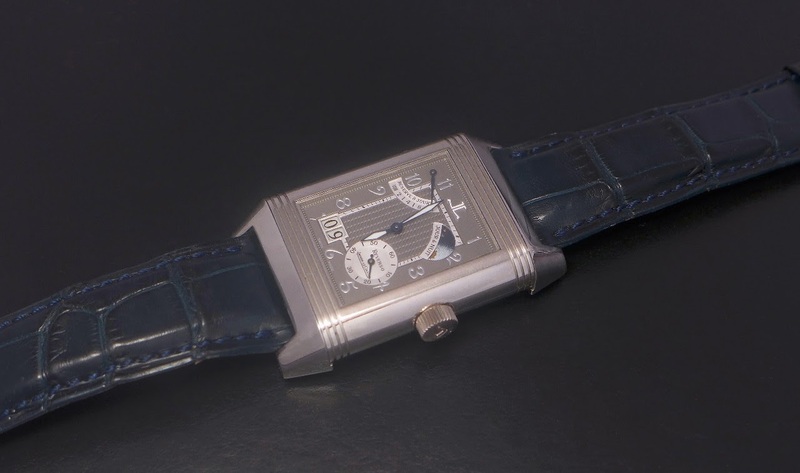 at least in a Reverso, but if my memory serves me well, in any JLC watch, round or rectangular. Limited to 500 pieces in platinum ( 500 pieces on rose gold as well ), the Septantième as the first of a long series which didn't live its full saga. 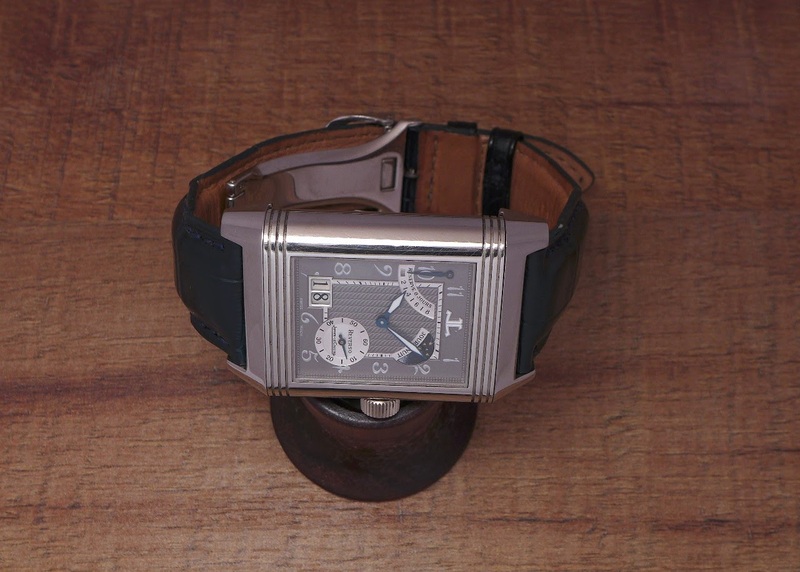 Still, the Reverso Septantième is a great watch, a milestone in the collection. 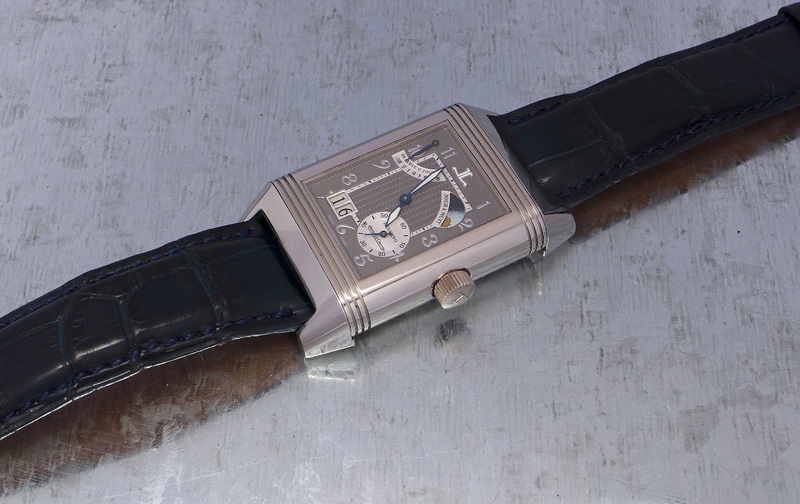 Besides its mechanical virtues, and its list of " firsts ", this Reverso has charm and beauty. Its grey ruthenium asymmetric dial, its heated blue hands and its nicely decorated white gold movement with its unusual swan neck in a modern Jaeger Lecoultre make its very desirable time keeper. 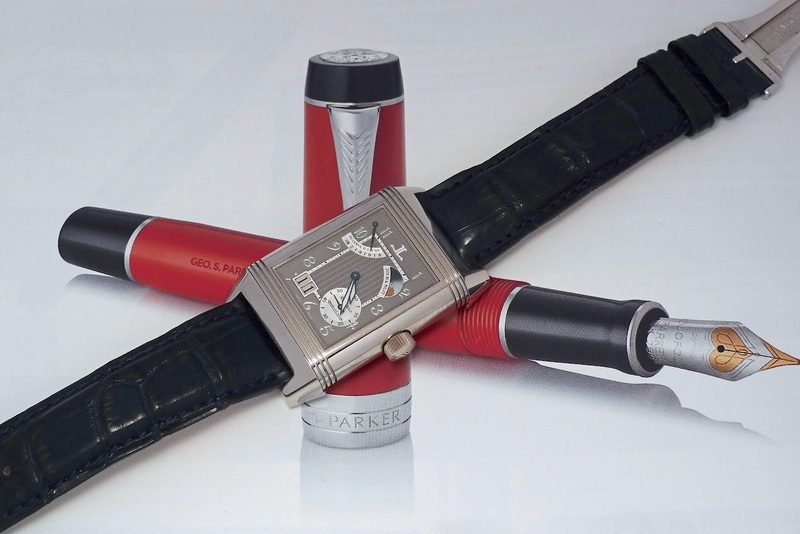 The important weight of the watch due to the choice of platinum and the size of the case. Still, and despite these three cons, this is a very desirable, class, elegant and unique companion. And one of the best when it comes to my collection of modern Jaeger-Lecoultre, with my Duometre à Chronographe in white gold and my Master Minute Repeater titanium. Long life to the Septantième! Gracias for your feedback, Walter. Yes you have to get used to its shape and size. Indeed a very nice one The grey dial, the blue hands and this “pastel” night/day indicator work well together. Thanks for your kind comments, dms. Too kind, my dear Filip. Thank you. You should, it is a lovely one. To be seen in the flesh. Next time we meet?